Thanks for registering your interest for the Sierra Leone Marathon! A member of our team will be in touch shortly to discuss any questions you might have. In the meantime, why not check out more information about the marathon below. Winding through tropical forest and local villages, this unique race is one you'll never forget. With an electric atmosphere, whether you choose to walk, jog or run you will be welcomed by local people and high-fived by children along the route. The Sierra Leone Marathon is an incredible adventure that sees you take on a life-changing challenge, help change children’s lives and relax on some of the best beaches West Africa has to offer. The Evening Standard finds idyllic tropical beaches and warm, resilient people in Sierra Leone. 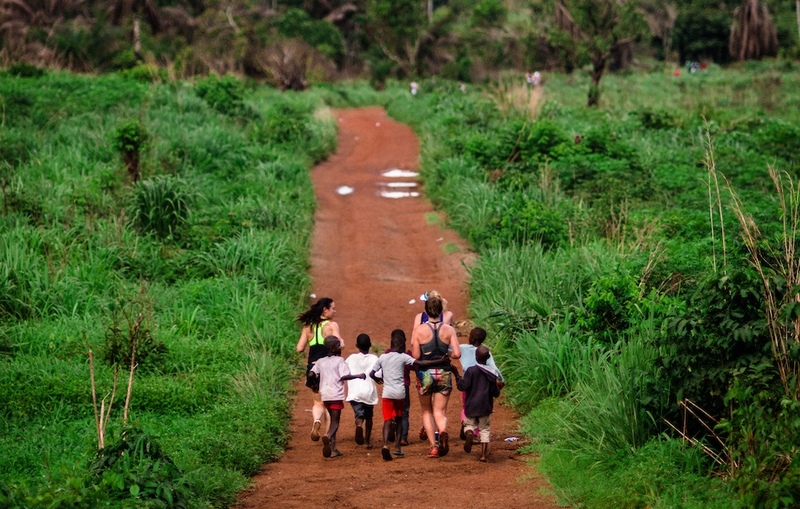 The Street Child Sierra Leone Marathon is helping tourists discover the country's charm. Sierra Leone is listed as Rough Guide's top 10 destinations for 2018. What better way to experience Sierra Leone than our award-winning marathon! Join us in May to experience one of 2018's top destinations! The Evening Standard reports on how our 7th Sierra Leone marathon has helped bring tourism to Sierra Leone and raise funds for some of the world's poorest children.